257 Roberts ammunition is a 25 x 56mm cartridge that is built for both medium game and varmint hunting throughout North America. The 257 Roberts, occasionally known as “The Bob” among its enthusiasts, is a very fast round that is popular among plains hunters. 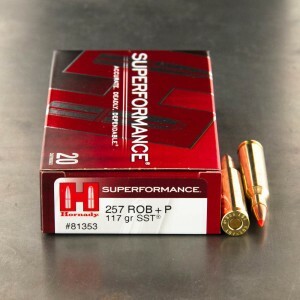 Designed in the 1920s, 257 Roberts ammunition generally produces little recoil, muzzle flash, and concussion and is an excellent round for younger shooters, new gun owners, and smaller adults. The round is still considered a wildcat cartridge among shooters ---meaning it is not extremely popular but there is a niche group of shooters who love the 257 Roberts round.